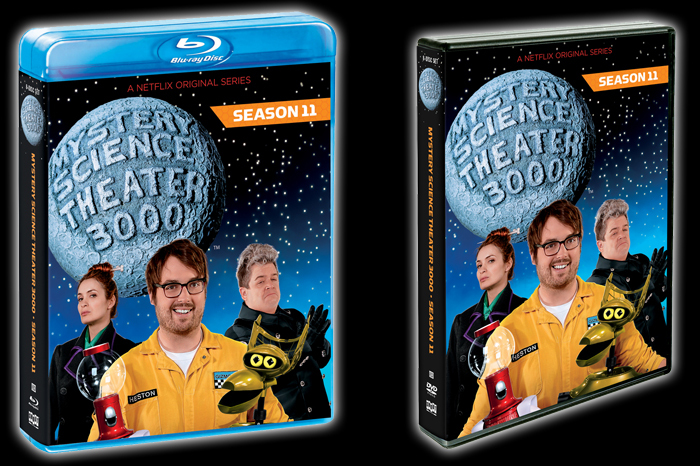 At long last, MST3K Season 11 is available for pre-order on DVD and Blu-ray. This is particularly good news for fans who weren't able to watch the new episodes on Netflix. It's also nice for those who want to be able to revisit the season without the need for an Internet connection. Pre-order Season 11 on Blu-ray here. Pre-order Season 11 on DVD here.